Producers of popular culture love a good legal battle. It makes for a riveting storyline. Courtrooms tend to embody the quintessential sites where legal conflicts come to a head. 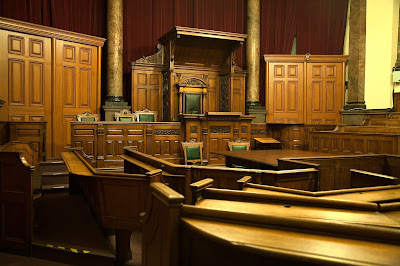 Yet, as many in the legal community are aware and as law students come to learn, courtrooms are not the only venues where disputes and controversies are hashed out and hopefully resolved. 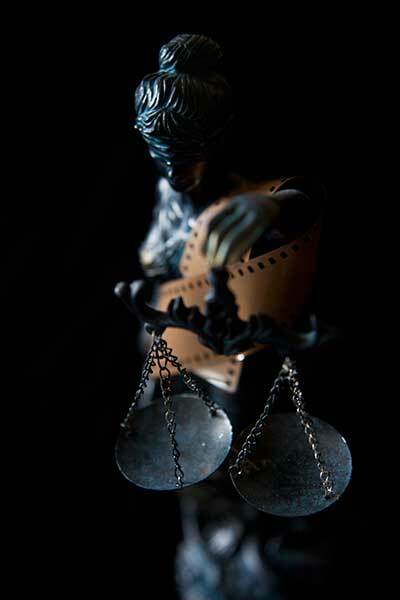 There are any number of legal controversies that are litigated and/or investigated outside the courtroom. Enter the magical and diverse world of administrative law. Administrative law is a rather complex area of study and practice. It concerns a wide variety of decision-making processes. As societies have become more complex, governments have created a plethora of decision-making and dispute-resolution regimes that specialize in and possess expertise on a broad number of subject matters – e.g., immigration, homeland security, transportation, labour relations, social security, environmental protection, regulation of professions, regulations of sports, and the list goes on. Administrative bodies come in various forms – government departments, tribunals, boards, specialized courts, commissions of inquiry, etc. Administrative agencies/actors engage in a range of conduct. For example, some formulate broad rules and regulations that are or appear legislative in nature. In that capacity, they may consult a broad spectrum of people with a wide range of interests – including those impacted by the potential rules, other stakeholders and experts. Other agencies/actors engage in adjudicative functions, which may resemble to varying degrees judicial proceedings. Some of the more well-known administrative processes of an adjudicative nature include adversarial proceedings before US immigration judges, or litigation of labor disputes before labor relations boards or arbitrators. In such settings, there are two adverse parties with an impartial decision-maker deciding the matter. Other adjudicative proceedings may be more inquisitorial in nature, with the decision-maker participating in the gathering of evidence by posing the actual questions to a party or parties appearing before them. As a teacher of administrative law (and a law and popular culture scholar), I am always fascinated to see how films or television series present administrative proceedings as part of their storylines. In particular, I am interested in how these productions speak to matters of procedure (not the sexiest of subject matters to be sure). Administrative proceedings, even those that replicate an adjudicative setting, are not courts of law. Rules employed in courts of law, including the rules of evidence and rules of civil procedure are relaxed in administrative proceedings. Still, there are nevertheless rules/norms of practice/procedure that decision-makers are expected to adhere to. There are any number of sources for such rules – the constitution, statute, regulations, as well as the common law. They may relate to issues of basic notice, discovery and disclosure of information possessed by an agency or other third parties; participatory rights during a hearing; the ability to have counsel present during questioning; as well as the right to have access to reasons upon which a decision is based. Not all proceedings will permit the presence of counsel during a hearing, the ability to participate in proceedings, or access to possibly relevant information. Most members of the public are not aware of these matters for obvious reasons. So, when films present administrative proceedings as part of their narratives, what educative role can they play about the decision-makers, the body itself, the manner in which decisions are made and their function(s)? In recent years, two films, Sully (starring Tom Hanks) and Flight (starring Denzel Washington) have presented or constructed proceedings before the United States’ National Transportation Safety Board (NTSB). 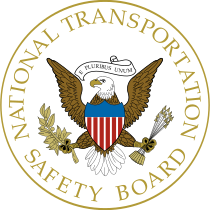 The NTSB is an administrative body created by the United States Congress. Among its many functions, the NTSB investigates airplane accidents occurring in the United States – indeed it is mandated to do so by law. Both films involve airline accidents. Sully is based on the real life events of US Airways Flight 1549, which, following take off from La Guardia Airport, experienced a collision with a swarm of Canadian geese. Some of the flock flew straight into the engines causing total or near total shutdown. Consequently, the pilots, Captain Chesley Sullenberger and first officer Jeff Skiles were forced to make an emergency landing in the Hudson River (separating Manhattan and New Jersey). The incident took place in mid-January 2009 and was highly publicized. Much less so were the NTSB proceedings that followed, until they became a central feature of the film. Flight, by contrast, was a fictional story. 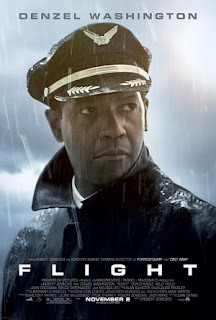 Due to mechanical failure, an airplane piloted by Denzel Washington’s character was forced to engage in an unorthodox maneuver to stop a rapid and steep descent by flying the plane upside down. The plane is able to halt its vertical descent and fly horizontally before crash landing in a field. Though some perish, most of the passengers and crew survive. Washington’s character pulled off a miracle; however, he was also high on narcotics and intoxicated during the flight. The film in part features whether he can avoid having this disclosed, the consequence of which may lead to criminal liability. In this post, I want to examine how Sully, in particular, explores the nature of administrative proceedings and what it might teach us about them. Because Sully is based on real life events, I not only want to examine how the film constructs the nature of the proceedings, but also how the proceedings transpired in real life based on transcripts/footage. While Sully may have accurately depicted the events leading to and including the air strike with the geese, followed by the emergency landing in the Hudson River and subsequent rescue by first responders, the proceedings before the NTSB are something else entirely. It might be safe to say that they are indeed completely fictional. Accordingly, I want to examine what we can learn about the depiction of the NTSB proceedings, even if fictional, as a teaching moment regarding the importance of participatory rights and disclosure of information. Second, I shall argue that this fictionalization, however dramatic and entertaining on one level, problematically misrepresents the nature of such proceedings in the viewing public’s mind more generally, but also in connection with what happened in this case specifically. 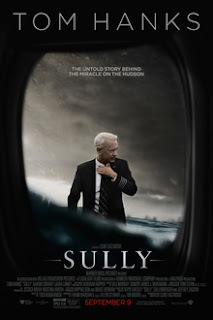 To provide some clarity to readers, when I use the term Sully in italics, I am referring to the film itself. When referring to the film representation of Captain Sullenberger, I shall refer to the character as “Sully” without italics. Lastly, when I refer to the real-life Captain Sullenberger, I shall refer to him as “Sullenberger”. A primary feature of Sully is the investigation of the landing in the Hudson River. At the core of the investigation as presented in the film is the necessity of landing the plane in the Hudson as opposed to flying back to La Guardia Airport or an alternative airport in New Jersey. As part of this second-guessing of the pilots, NTSB investigators indicate that computer simulations demonstrate that Sully could have flown back to La Guardia or Teeterboro Airport in New Jersey. Just prior to the hearing, Sully is seen requesting that human piloted flight simulations be undertaken. At the hearing, live streamed video shows two simulations where pilot crews successfully land at La Guardia and Teeterboro respectively. Immediately following this, the following scene transpires where the character Sully makes a number of important points and poses certain questions of the NTSB. The following clip illustrates this. It is worth noting that not every administrative proceeding or investigation, more generally, permits participation of those being investigated through oral hearings. To the extent that any participation at all is allowed in various administrative processes, this may be limited to written representations even where the stakes for the individual are important. In addition, the scene also illustrates the value of disclosing information. Disclosing information allows a person who is the subject of proceedings to understand, among other things, the case to be met. As Sully illustrates, it allows a party to contextualize certain data and its overall value. In the film, armed with the number of practice runs the simulator pilots were given, Sully is able to cast doubts on the validity of the successful landings depicted. Put another way perhaps, Sully is able to argue how the flight simulations shown and the reliance by the Board on these successful landings are entirely de-contextualized. Ultimately, the audience is given the message that without these opportunities to participate and seek disclosure of certain information, Sully and Skiles would be faulted for their decision to land in the Hudson. Whatever broader insights Sully provides on procedural rights, there are nevertheless problematic aspects in terms of its representation of the NTSB. As noted above, the depiction of the proceedings was unrealistic, if not entirely fictional – this refers not just to the actual dialogue between Sully and the panel, but also the general tone in which the questions were asked. Sully portrays NTSB investigators as openly second-guessing Sully’s and Skiles’ decision to land on the Hudson. But there is more to it than just presenting the NTSB panelists as disrespectful and arrogant. The panelists withheld information about the numerous attempts made by the simulator pilots to land the planes at the designated airports. It was only after Sully seeks disclosure during the hearing that the information is revealed. It almost harkens to instances where government prosecutors in criminal trials have failed to disclose exculpatory information to defendants or defence counsel. But I think both Jeff Skiles and I have done this long enough and trained long enough to have internalized the values of our profession and to have learned what needs to be done, and so we quickly acknowledged our bodies' innate physiological reactions, set it aside and began to work on the task at hand. And I think that is so important. I'm trying to get an idea of what your mindset is and how you were there. I can contrast you to a crew that we looked at recently that I mentioned the captain said he was ambivalent. They had an engine fire 800 feet AGL and it took about three and a half 16 minutes before they completed the checklist, which should be a memory item, should be done immediately. So I want to be able to bottle your mindset and be able to make sure that everybody is drinking from that same bottle. There was only one minute, fifteen seconds from the time the captain told the air traffic controller that he couldn’t make Teterboro Airport and uttered those bone-chilling words, “We’re gonna be in the Hudson,” until the actual touchdown. Testimony from the public hearing indicated that there are unique attributes of a planned ditching that include the flight crew going through checklists, preparing the cabin crew, and having the passengers prepared. In the case of US Airways 1549, the crew didn’t have time to go through the ditching checklist, they didn’t have time to prepare the cabin, and the passengers were not prepared for the water landing. For the above reasons, I believe US Airways 1549 was a forced landing on water as opposed to a ditching. This point aside, whether we call this event a forced landing or a ditching, the objective of this investigation and its ensuing report is to help improve the outcome should future crews find themselves in the situation faced by this crew. The report produced by staff does exactly that. Therefore, I support the report’s findings, probable cause, and recommendations. During the course of the investigation, flight simulations were conducted. These flight simulations revealed that a successful return to LaGuardia or a diversion to Teterboro Airport was not assured. Both in content and tone, this is hardly the makings of the inquisition that the film seemed to portray. It's worth noting that Benzon and others were decidedly unappreciative of Sully's portrayal of the NTSB's investigation (see here and here). films are overwhelmingly influential, playing a key role in the construction of individuals and groups in contemporary societies. They reach enormous audiences and, combining narratives and appealing characters with visual imagery and technological achievement, can stir deep emotions and leave deep impressions. Leading viewers through cinematic judgments constituting notions of justice, equality, honour and gender, films can be extremely effective in moulding public actions and reactions. Here the construction of individuals and groups relates to those at the NTSB who worked on the investigation of the US Airways more specifically. However, at a broader level of construction, it relates to those who conduct such investigations more generally. 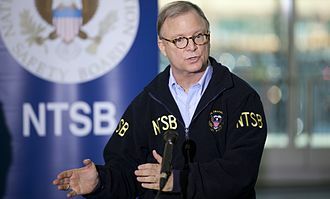 The NTSB carries out important work which seeks to find causes of accidents, prevent future accidents, and worse still tragedies where there are human losses. This is important work that pursues a public safety and protection role. The general public’s exposure to the NTSB’s work is likely to be fairly limited, so when there is some representation/portrayal of its proceedings in popular culture productions, these relatively few depictions may have an impact on molding public reactions to its value. It might be fair to state that there is already an undercurrent of animosity to the idea of administrative oversight/regulation more generally. Witness the popularity of conservatives and libertarians railing against “Big Government”. Portrayals of surly and antagonistic administrative actors, as we see in Sully does little to allay such negativity. It only fosters a corrosive pessimism surrounding the need for and value of such bodies. Such pessimism may very well extend to other administrative bodies as being populated by incompetent, duplicitous, and/or vindictive hacks. The fact that Sully is purported to be based on real life events that are in the public’s knowledge only makes it more plausible that the depiction of the NTSB investigation and the hearing might be viewed as also being reflective of true events. There are obvious commercial reasons for portraying the NTSB investigation and hearing in the manner that it was in Sully. As noted above it makes for a great (legal) drama. It pits a protagonist and obvious hero against a villain, here a federal administrative body. Here, Sully as David, must face off against two Goliaths. The first Goliath is represented by the circumstances he faces and the daunting task of saving the lives of those on board the plane. The second is the NTSB board, which actively seeks to second guess and impugn his decision. Perhaps we don’t often imagine administrative officials as heroes, but it certainly is easy as the film demonstrates to mis-characterize them as villains. In Robert Benzon's perspective in response to the film, he posited the following: “We’re not the KGB. We’re not the Gestapo. We're the guys with the white hats on." It hardly matters that the names of the NTSB investigators in the film, including Benzon's, were all fictional (though it may certainly matter to the actual individuals). It does certainly matter to the institution and the public’s respect and understanding for the value of its work. Sully did them a disservice.